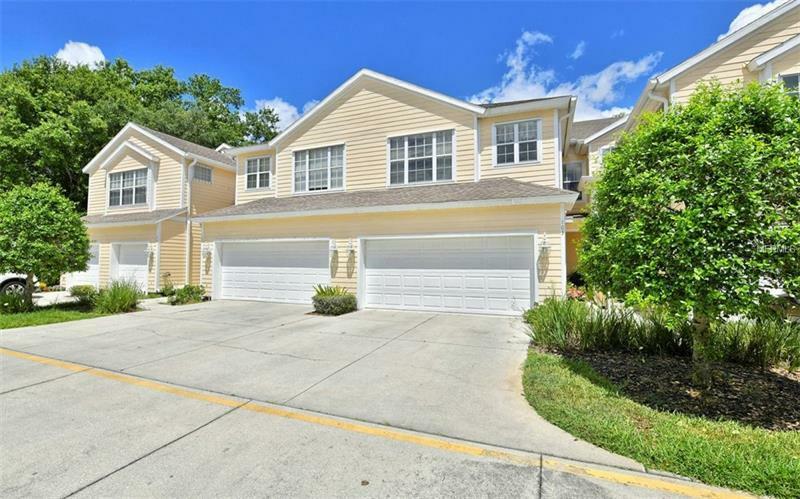 The Summerfield Hollow condominium community offers one of the best values youâll find in Lakewood Ranch and the location is ideal with shopping, restaurants, schools, parks, and much more very nearby. This Harbortown floor plan features a two-story townhouse design complete with an attached two-car garage. The first floor has a foyer entrance with a guest bath to the side, a large eat-in kitchen that opens to a combination living room and dining room, and the living room has a soaring 20-foot ceiling giving the impression that the home is twice the size. A covered and screened lanai looks out towards a preserve area and the living/dining areas have newer (2016) engineered hardwood floors. Thereâs a walk-in closet with under-stairs storage, too. The A/C was also replaced in 2016 as was the carpeting on the stairs and second floor. At the top of the stairs youâll find a multi-purpose loft area that can be used as an office, bedroom, or retreat, and the loft also has a closet-style laundry room with washer and dryer included. The bedrooms are on the second floor and each has a bathroom, with the master bath attached to the master bedroom. The master bath has two sinks, a separate shower, and a soaking tub. The master bedroom also features a walk-in closet. Condo fee of $326/month include water, sewer and garbage, pest control, building insurance and maintenance, grounds maintenance, basic FiOS cable, reserves, and an association manager.